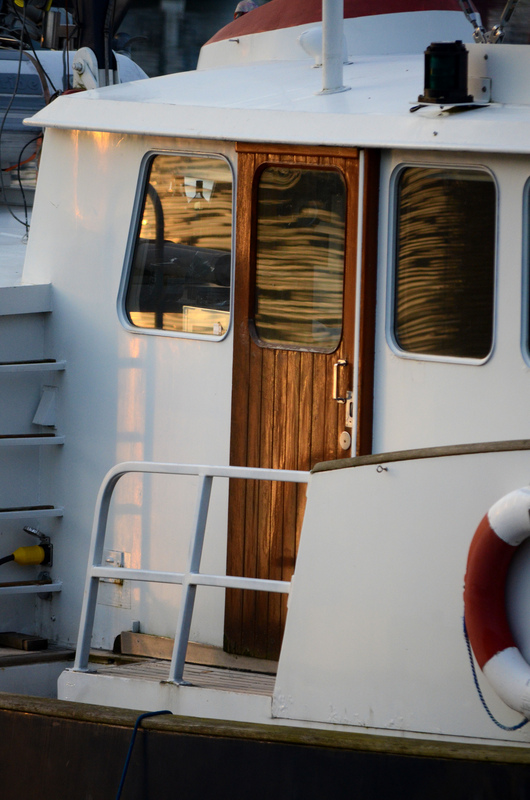 I love how you can see the reflection of the sunrise in the window on this boat’s door. Taken on Granville Island in Vancouver, British Columbia. Check out Norm‘s blog for more Thursday Doors! This is an absolutely gorgeous shot, Sabina. The sunrise in the reflection really does help to make the shot. Really nifty. :) Just walking by, or out for a sail that day? Great choice of door, I love the ripple reflection from the water.